The common wasp (Vespula vulgaris) and the German wasp (Vespula germanica) are ubiquitous throughout Europe, North America, Australia and New Zealand. 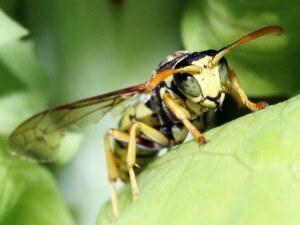 During the spring, the wasps prey on other insects and feed mainly on protein sources. Throughout this time, they are rarely a pest and in fact are very rarely noticed. Following the summer months and at the onset of cooler weather, the wasp’s attention predominantly moves to a carbohydrate food source. At this time, the wasps are highly attracted to sugary foods and drinks which bring them into direct contact with people.